I have never been that interested in body exfoliators but recently I have been getting into fake tanning and they have become a crucial step in getting fake tan ready. The primary benefit of a body exfoliator is it's ability to remove dead skin, encouraging new skin cell growth for a soft and smooth surface. This is an essential ritual before tanning so that the fake tan doesn't stick to any dry patches but instead glides on smoothly and evenly. Now I have tried numerous body scrubs and exfoliators but I have to admit this is the best by far, keep reading to find out why! 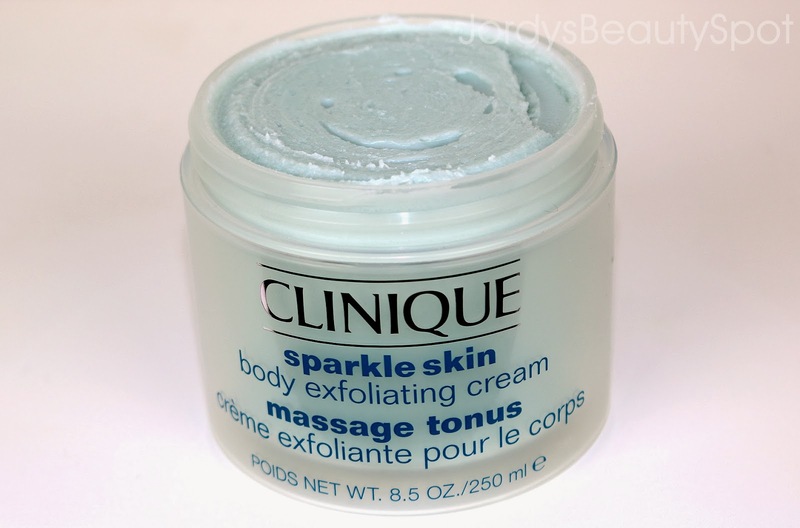 Formulation: It has quite a thick and gritty consistency that provides a gentle exfoliation. It's so thick that a little goes a long way and you only need a little bit which you mix with water to dilute it a bit. It isn't harsh or abrasive on the skin, it just gently removes the dead skin making it suitable even for sensitive skin. Directions: Dig out a small amount of product from the jar with your fingers and rub it between your hand with some water. Rub this in a circular motion on the desired part of your skin, focussing on rough parts such as your knees and elbows. Effectiveness: You're not only left with smooth and polished skin but it also contains salicylic acid and menthol making for a great skincare item for the body as well as a refreshing treat. Usage: This cleanser is gentle enough for every day use and can be made part of your regular shower routine. However, if you are fake tanning I wouldn't advise everyday use as it will wear away on your tan. Scent: It is 100% fragrance free meaning that the scent comes from the ingredients, primarily methol overtaking the smell. The scent is extremely refreshing and soothing with a tingly mint feeling. Cost and Availability: The price point on this scrub makes it a luxury item, costing $50 which is quite a lot for a scrub. However, you receive 20ml of product and as mentioned before a little goes a long way therefore the price is justified. This product is available at all Clinique counters including David Jones, Myer and stand alone kiosks. I definitely recommend picking up this exfoliator to try out next time you see it, not only is it a great product but also a luxurious pampering item that freshens up shower time. A must have and great addition to any tanning routine!